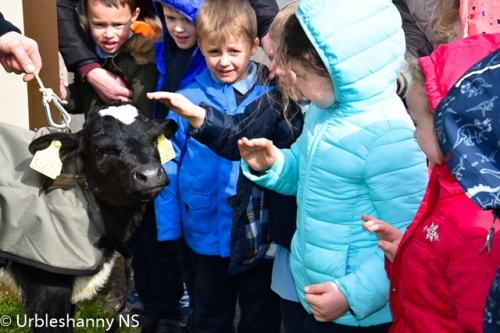 feel and experience in the world around them. 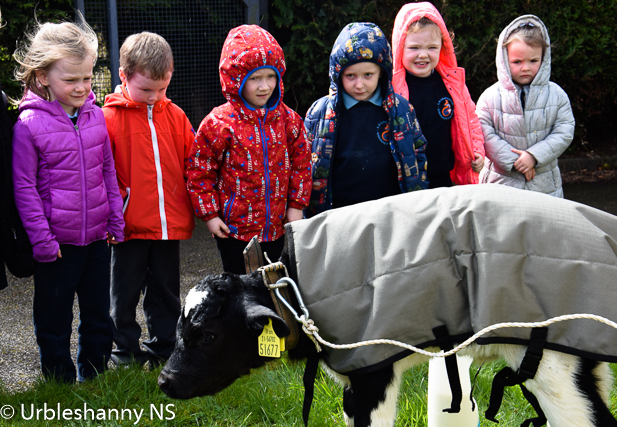 The Aistear programme makes children, from a very young age, familiar with their world. 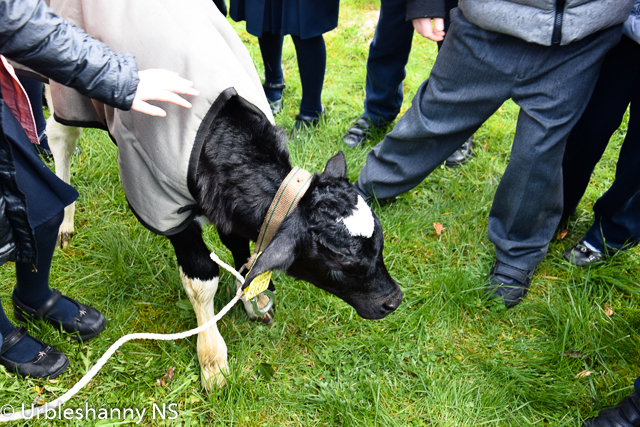 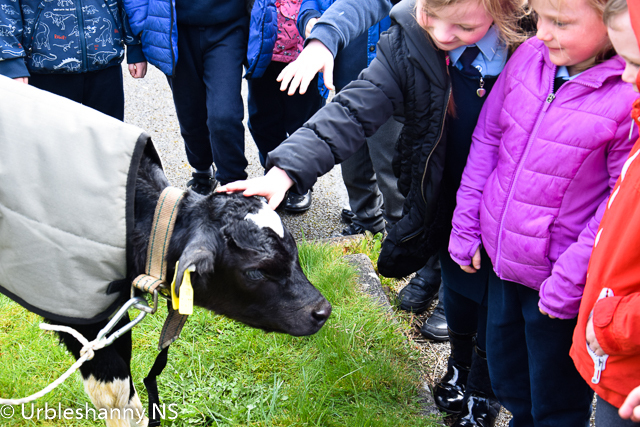 Today, the pupils were treated to a visit from local farmer John who brought along a new calf with him. 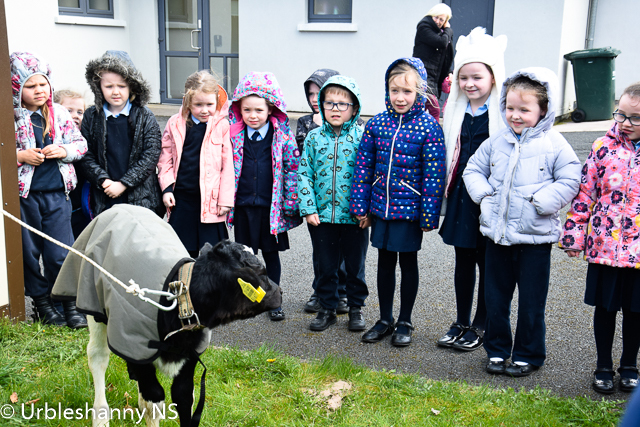 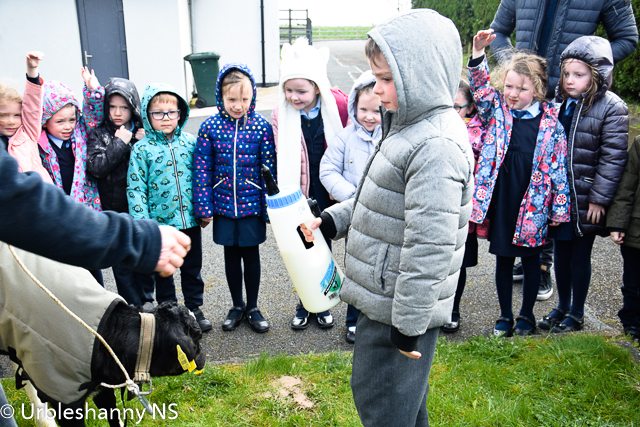 Plenty of questions were asked about farming and rearing young farm animals. 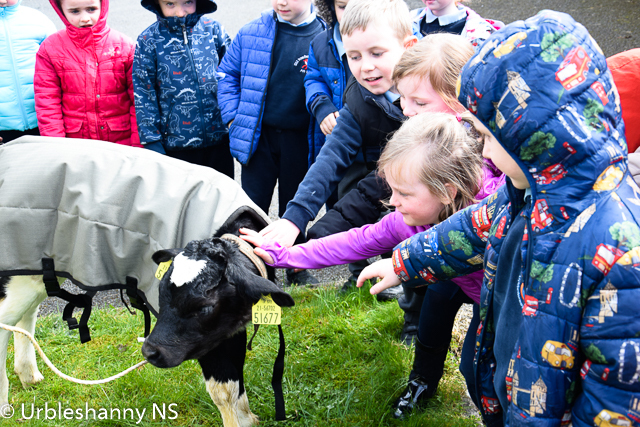 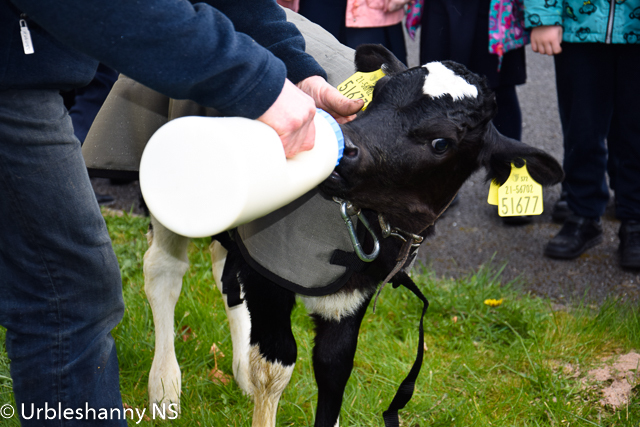 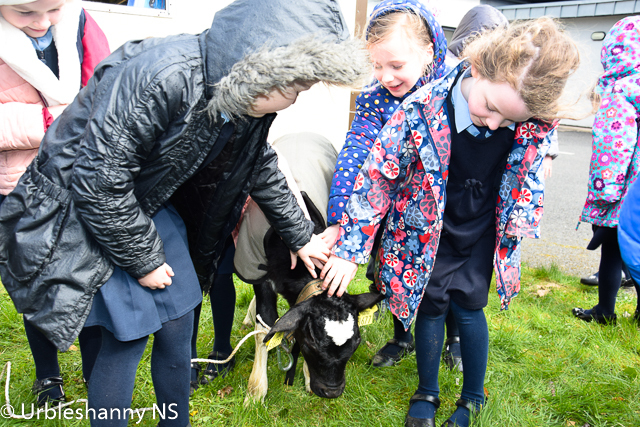 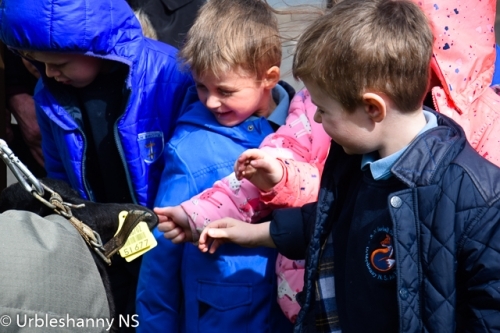 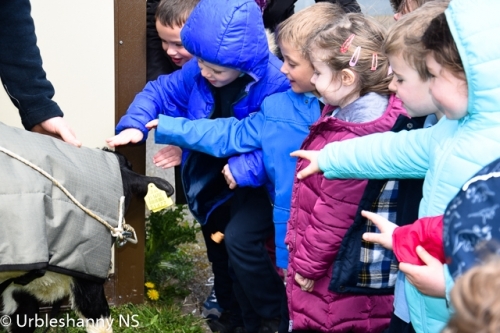 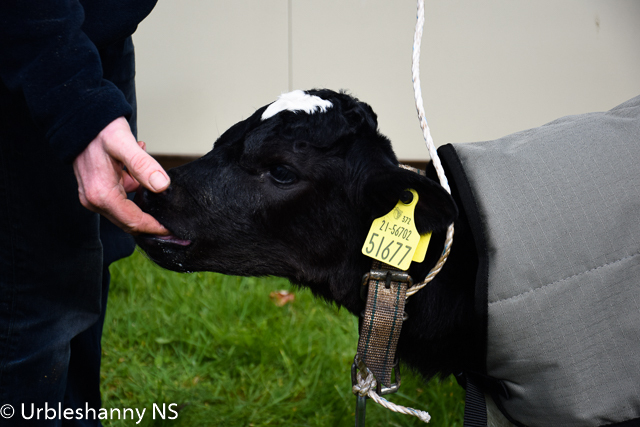 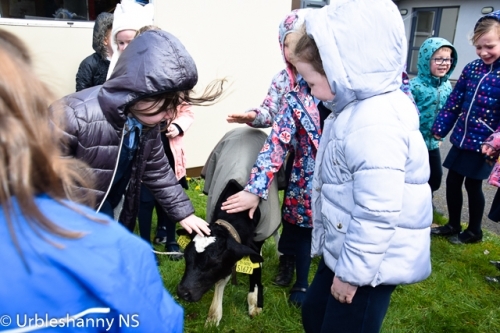 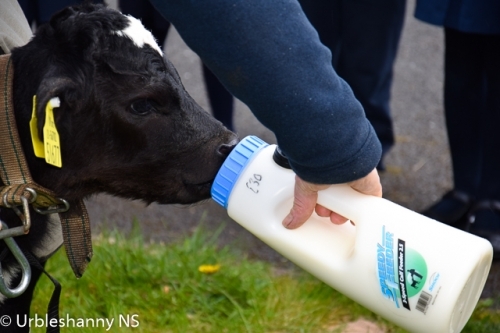 The pupils then all got to meet 'Mossy' and learned that all calves have no top teeth in order to 'graze' easily later. 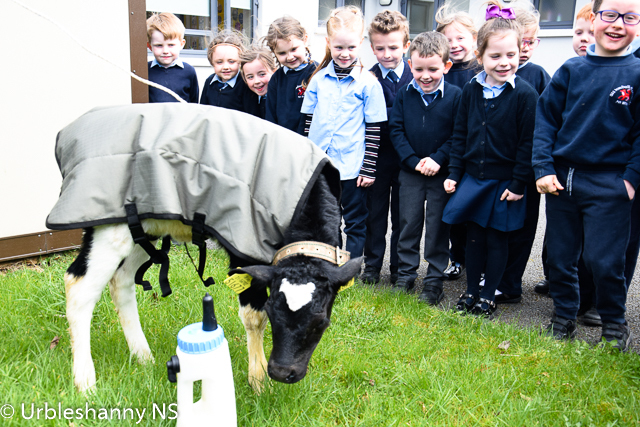 Thanks to John for taking time from his very busy schedule and popping in this afternoon to visit our Infant classes.